More and more young girls are drifting towards Zari Faisal’s unconventional fusion pop formals and party wear and with good reason. Zari brings bags of flavor and fun with her primal ‘Chaandni’ sequin detailing that boasts ethnic as well as modern elements. It has been a long while since a young new designer stood up for a truly different signature, especially in the genre of wedding wear that usually affords much less wiggle room. 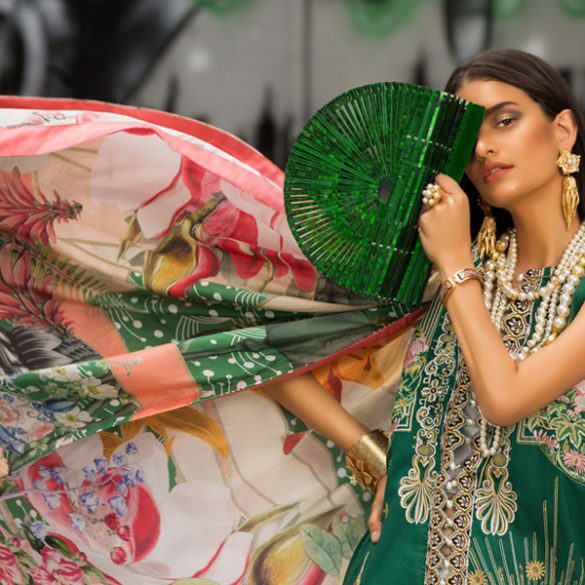 Her bold statement print lehngas, crop top cholis, sparkling net capes and luxe velvet jackets infuse life into mehndis with celebrities including Syra Yousuf, Ayesha Omar, and Raana Khan having been spotted in her creations. Take a look at some real life Zari Faisal fashionistas about town! Raana Khan and Zari Faisal; Who wore it better?! View more Zari Faisal designs on her Profile Page. Interview: Sara Shahid of Sublime Reveals Her 2014 Resolutions!